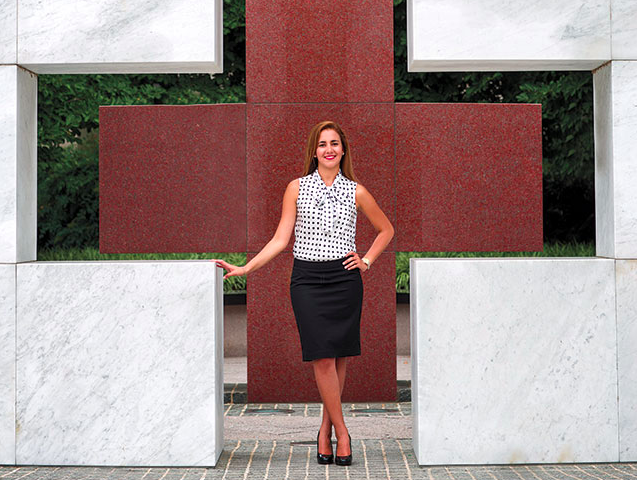 Yenisleidy Simon AC ’13, an intern with the International Humanitarian Law unit at the American Red Cross in Washington, D.C., credits a mentor with helping her find a career direction. What’s the difference between rising in the ranks and getting stuck at ground level? For women, it can be a mentor or sponsor who will make sure she gets noticed. Here, successful alumnae in business, government, science and education reflect on the role of mentors and the importance of paying it forward to the next generation. What Lazarus did without realizing it—and before the word itself had become popular—was ask for a mentor. And she got one. That boss remained an important ally and helped set Lazarus, the former CEO and now chair emerita of advertising giant Ogilvy & Mather, on a career trajectory that would take her to the highest levels of a $50 billion industry. Her experience—and “hundreds” like it she had later—made her conscious of mentoring other newcomers over the years. Ask any successful woman how she got where she is today, and she’ll likely credit her mentors. That’s true regardless of age or career stage. Yenisleidy Simon AC ’13 is quick to point to those who have helped her navigate early career decisions, as is Smith College President Kathleen McCartney, who frequently cites the importance of her academic advisers, and Wendy Sherman ’71, who credits mentors, in part, for helping her become the first female Under Secretary of State for Political Affairs. The importance of mentoring for women has re-emerged as a hot topic in the year since Sheryl Sandberg’s book Lean In began sparking conversations about the dearth of women in leadership positions. Women occupy 53 percent of entry-level jobs, yet they hold “only 37 percent of middle-management positions, 28 percent of vice-president and senior-managerial roles and 14 percent of seats on executive committees,” according to a 2011 McKinsey research report. At the very top, women constitute just 3 percent of CEOs of Fortune 500 companies. And the overall pay gap remains stubbornly fixed, with women earning 79 cents for every dollar men earn. It’s no wonder, then, that Sandberg and others see ramping up mentorship for women—especially at the most senior levels—as a big part of the solution to the gender parity problem. And contrary to stereotypes about women allegedly hoarding power, senior-level women are stepping up to mentor other women. In fact, Catalyst research shows that among high-level women who are actively mentoring junior-level staffers, 73 percent are mentoring women; by contrast, only 30 percent of men mentor women. What exactly is a mentor? “Someone who provides advice and guidance important to your personal or professional development,” says Anna Beninger, director of research at Catalyst. “Maybe it’s someone you met early in your career—a professor, a boss, a friend of the family or someone you’ve come to know along the way.” Mentoring relationships tend to be long-lasting and more “evolutionary” than formal, she says. Eventually, one may develop what Iris González ’11 calls her personal “board of directors”—an assemblage of go-to advisers with different areas of expertise, from the professional to the personal. President McCartney is so grateful for the guidance her mentors provided during her years in college and graduate school that she invited them to her inauguration ceremony last fall and thanked each of them in her inaugural address. “She saw something in me that I didn’t see in myself,” McCartney says of her undergraduate adviser, Brenda Steinberg. Now, as a college president, McCartney makes it a point to speak on the academic and professional advantages of mentorship for women, especially first-generation and minority students whose families may be unable to provide knowledgeable guidance. “There are few experiences that are as rewarding as mentoring the next generation,” she says. Kristine Molina ’05, a psychology professor at the University of Illinois at Chicago, helped mentee Yenisleidy Simon AC ’13 sort out her career goals and the complicated issues of being a first-generation Latina student. She also hired Simon as an intern and helped her achieve what few undergraduates can: She co-authored and published an academic journal article and presented at a conference. “To experience the joy she felt was an indescribable feeling,” Molina says of Simon, who in turn has “paid it forward” by introducing current Smith students to Molina, who has hired them as interns, too. Jacqueline Carleton ’65, a psychologist at the National Institute for the Psychotherapies Integrative Trauma Program, has also provided research, conference and writing opportunities for her mentees. “One summer, four of us put a book together,” she says. Another, more powerful way for women to advance is through sponsorship. A mentor may guide a career, but a sponsor can jet-propel it. Lazarus sees sponsorship as a way for women break past gender barriers. “If you want to see women advance in an organization, you need sponsorship. I am convinced that the ability to rise is a function of the assignments you are given,” she says. “Women need someone at the table when the assignments are being made who will say, ‘If we’re serious about having more women in senior management, let’s give this to Mary because she’s ready for it.’” Lazarus—recently named the second “most connected” New Yorker by Crain’s New York Business—contends that if every partner or senior executive sponsored a woman, the numbers of women in leadership would rise dramatically in three to five years. Mentorship can be especially critical for women breaking into the male-dominated fields of science, technology, engineering and math (STEM). Currently, women hold fewer than 30 percent of all STEM jobs and just 11.7 percent of engineering jobs, according to the National Science Foundation. For minority women, the figures are lower: They hold just one of every 10 science and engineering positions. This is opportunity lost since STEM fields are among the hottest growth categories, and they pay the most. Women who make it in STEM fields earn roughly 33 percent more than those in other professions and have significantly narrowed the gender pay gap. Unfortunately, only 13 percent of girls say they want to pursue a STEM field, and those who do may not stick with it. One study showed that in these typically male-dominated programs, girls lack confidence. Early mentoring can make a huge difference, says Laura Katz, a professor of biology at Smith and founder and co-director of the Smith AEMES [Achieving Excellence in Mathematics, Engineering and Sciences] programs, which include peer mentorship to help retain first-generation and minority students in the sciences. Since AEMES began in 2007, Katz has seen GPAs increase by as much as .3 points, while retention rates for majors have increased and greater numbers of students have engaged in research opportunities. 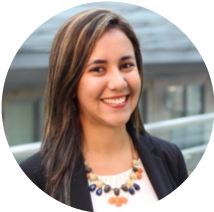 The AEMES programs and other mentors helped Iris González ’11, the first in her family to graduate from high school, stick with engineering and excel in her early career as a technology specialist for a financial group. The key to mentoring’s power is in modeling possibilities, and that’s especially true for women of color. “When a young woman sees the first Korean American woman elected in the commonwealth of Virginia, or the only Korean American woman with her own lobbying firm, or a Korean American anchor from the local news broadcast, it becomes easier for her to imagine herself in that woman’s shoes,” says Suzanne Kim Doud Galli ’87, a Korean American plastic surgeon who actively mentors girls in this ethnic group. Many successful women have had male mentors, especially those women who work in male-dominated fields or who came of age in the 1960s through the early 1980s, when women began making major strides across all professions. The lucky ones, like Lazarus, even had highly placed mentors, such as Ogilvy founder and advertising industry maverick David Ogilvy; Lazarus says his wisdom on the importance of investing in people has been vital to her career. The key, says Sherman, has been in knowing how to make those relationships count. “I have had women and men as mentors, and I once said to a male colleague when I wanted another job, ‘I want you to do for me what you’ve done for all the guys in the guys’ network. You help each other get jobs and put each other in those positions.’ And he did, actually,” she recalls. The lesson from that experience? Still, these relationships can be complicated. Some women say male mentors don’t always understand the issues they face, most particularly balancing work and family; that’s one of the top questions mentees ask, says Sherman, who juggles home and career herself. (She tells them, “You can have it all, you just can’t have it all at once and have it all go perfectly.”) Plus, any mentee has to be sure that her mentor will, in fact, watch out for her career. “When I was young, the male mentors I thought would be wonderful turned out to be interested in me sexually and did not give much of anything,” says Mary Lee Grisanti ’76, a writer and instructor at the School of Visual Arts in New York. It turns out she almost didn’t recognize the helpful mentoring that she received from two female professors at Smith. Yenisleidy was a psychology major during her time at Smith and is passionate about humans rights, access to education, gender advocacy, international development, women's empowerment, and public health. As a first generation college graduate and an immigrant woman of color, she aspires to play a leadership role in serving underprivileged populations. She is an advocate for equality and social justice.